The Phycological Research Consortium (PRC) takes off in 2016, with a number of accomplishments. 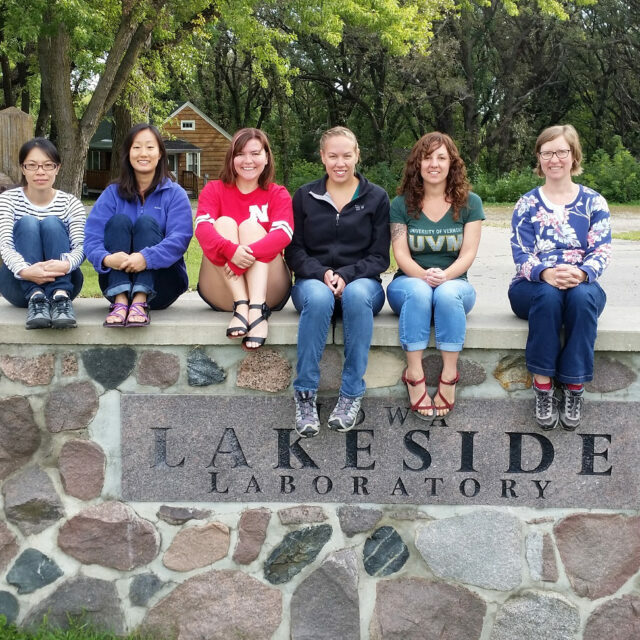 PRC promoted the expanded use of Iowa Lakeside Lab MacBride lab during spring and fall. The facility had been under-utilized outside of summer sessions, yet it is unmatched by any other institution in the quality of resources including microscopes, computers, literature, and laboratory and classroom facilities. 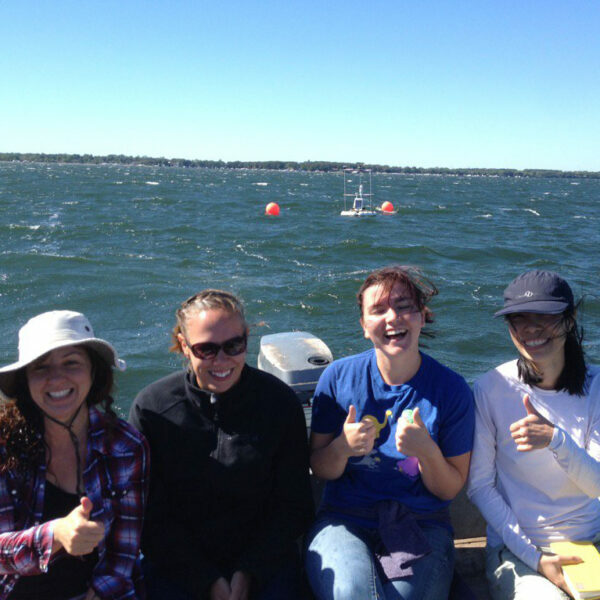 PRC training supported limnology research of West Lake Okoboji. 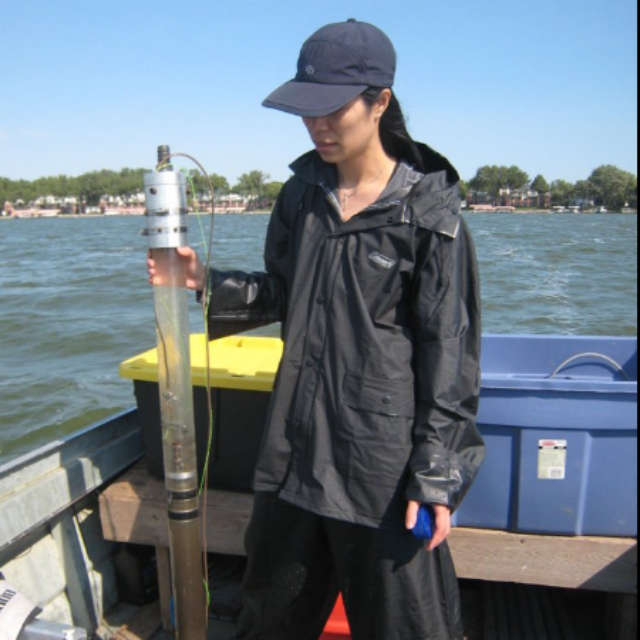 Participants Elizabeth Swanner (Iowa State University faculty), Tania Leung (ISU graduate student), and Mindy Morales-Williams (University of Vermont faculty) examined geochemical cycling of iron and how it may be linked to the formation of algal blooms. PRC provided opportunities for training graduate students in algal identification. Experts and students gathered for discussions on recent developments and problems in algal taxonomy. These efforts supported Tania Leung (ISU) and Allison Hrycik (University of Vermont) to further their doctoral research. PRC implemented community outreach. The public was invited to a PRC session to learn about algae and algal blooms. The public was invited to bring thier algal samples and algal questions. They used the lab’s microscopes and identified species, with the help of PRC taxonomists. The event educated the community on algal affairs, and introduced the local community to Lakeside’s outreach programs, camps, and courses. PRC developed a field guide to common Iowa algae. The guide is hosted on the global citizen science website, iNaturalist.org. Two projects are underway and another is under development: Cyanobacteria of the Iowa Great Lakes, Diatoms of Iowa, and the Phycological Research Consortium. The projects have over 280 algal observations generated with the photomicroscopy equipment in the Macbride Lab. A brisk day on West Lake Okoboji. Sediment coring supported by PRC. The fall 2016 gathering of the PRC at Iowa Lakeside Lab.